Safe and comfortable transportation of passengers up to 65 people - book a large company bus for a better trip. 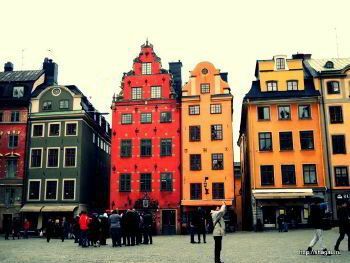 The capital of Sweden Stockholm is the most exciting and attractive city of Scandinavia, having a lot of places and unusual sights. The unique atmosphere of this city, its beauty, and characteristic color are fantastic. It's no wonder that Stockholm attracts a lot of tourists and travelers from all over the world who come here specially to feel the particular mood of this city and recharge it with positive energy. Every year, hundreds of thousands of tourists visit Stockholm, which is not surprising - this beautiful Scandinavian city has prepared many surprises for visitors. 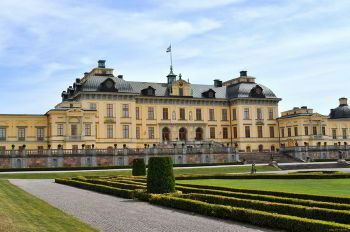 It is primarily the sights of Stockholm, including historical and architectural monuments, as well as a large selection of museums for adults and children. These are lovely excursions, green parks, luxurious fashion boutiques, and tantalizing cafes and restaurants. Traveling by modern bus of this service, the tourists do not need to worry about the rest and the place where they can have a snack. Thanks to the amenities in the bus, each traveler can relax by stretching out on a comfortable armchair, use bus’s fridge, cook something in the kitchen and eat sitting on the recliner with the help of a table built into the back of the seat, there is also a toilet in the cabin of the coach. In a word, traveling on such a modern and multifunctional bus is a real pleasure for every tourist. A reliable and punctual driver sits behind the wheel of each of the buses of this company. He will safely and quickly transport any number of passengers to any distance. The primary qualities of the employees of this company are honesty, punctuality, compulsion, intelligence, and courtesy.